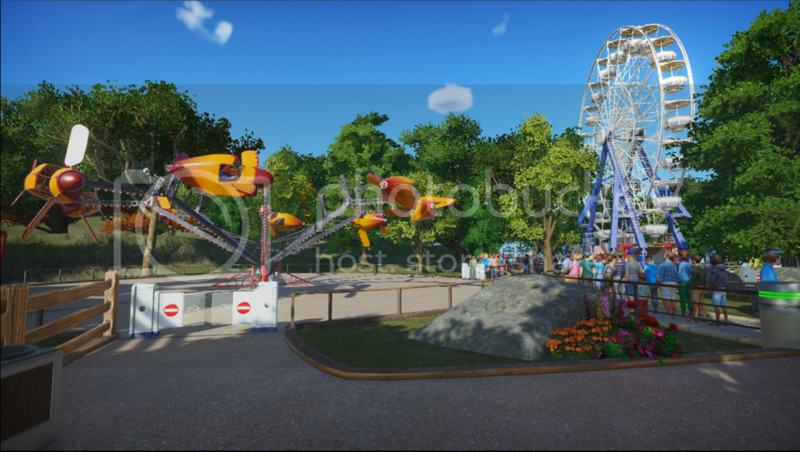 ﻿ [WIP] Hickerman Family Amusement Park | New For 1972! County Fair! 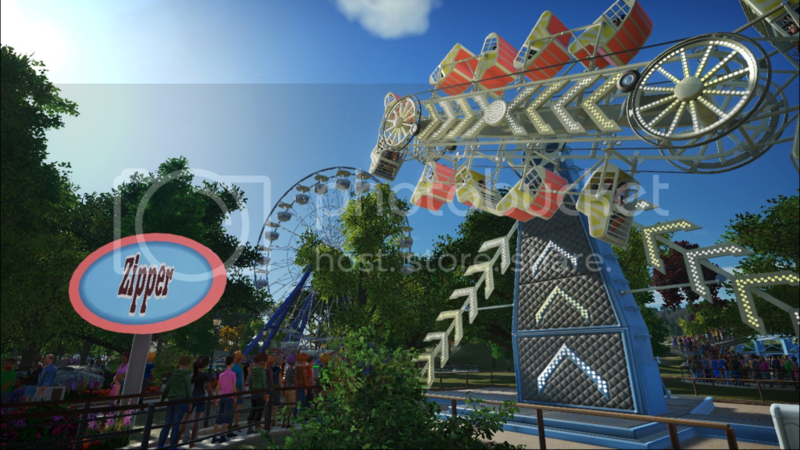 [WIP] Hickerman Family Amusement Park | New For 1972! County Fair! Before I begin this post, I just want to say hi to everyone. I am very excited to be on the forums! 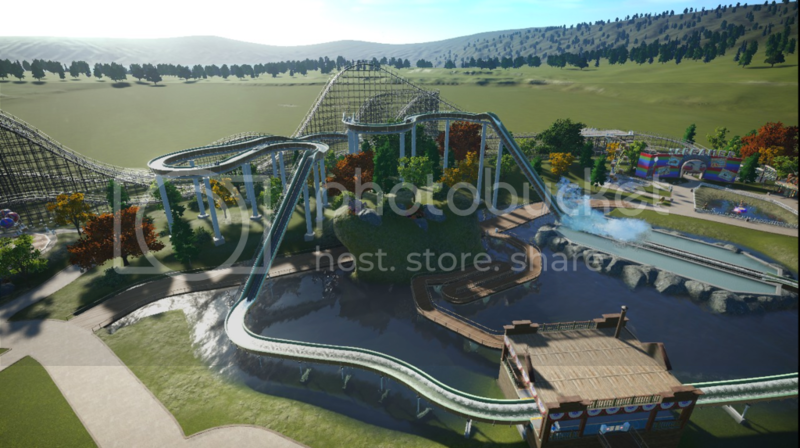 I was a long time player of RCT3 and have been itching to play Planet Coaster for the longest time. 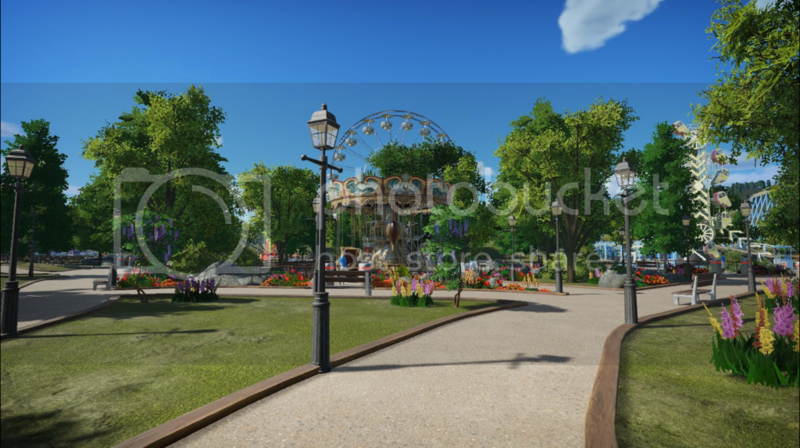 I've finally found a way to play Planet Coaster on my mac and I am so excited about it. 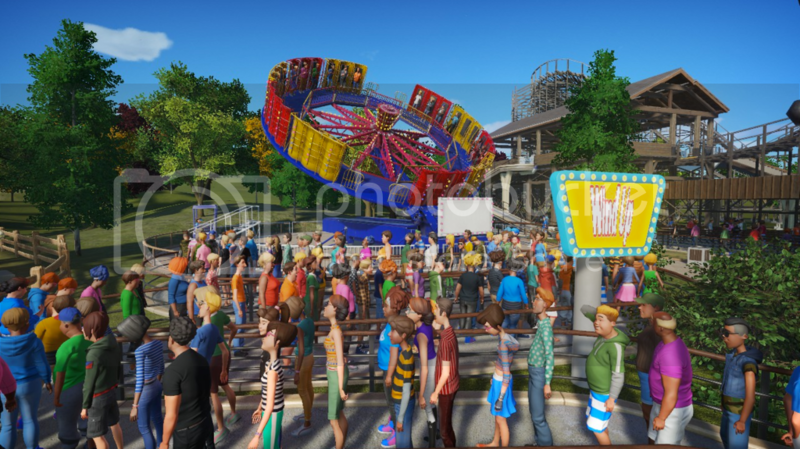 It is very different from RCT3 and I am still trying to get use to it but I love the game so far. I hope you enjoy my post! Hey everyone! My name is Jason Aldridge and I am an intern at the local news paper in Clarksville, TN. 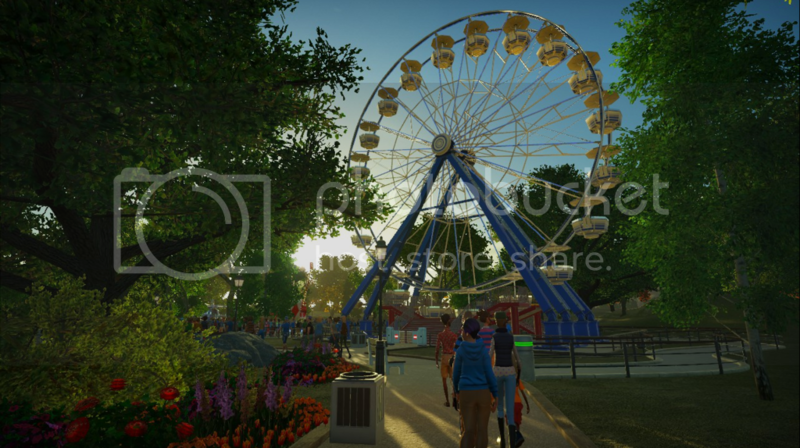 For the last year, a wealthy family has been in the works of creating a brand new amusement park. The Hickerman family is a local family in the area that wanted to bring something new to Clarksville. Being just under an hour drive from Nashville, TN, we are very excited to have something like this coming to our city. Earlier today, I was able to visit the park and take a look at what was going on at the park. 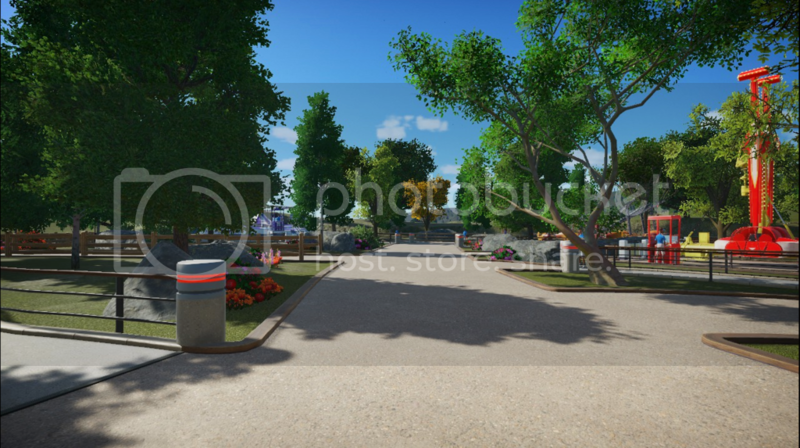 The park is nearing the end up the construction process with just a few more things needing to be finished at the park. The park is set to officially open to the public May 20, 1970. Let's take a look at the park! Walking towards the front entrance, you walk by this beautiful little pond with the park's ferris wheel standing above. 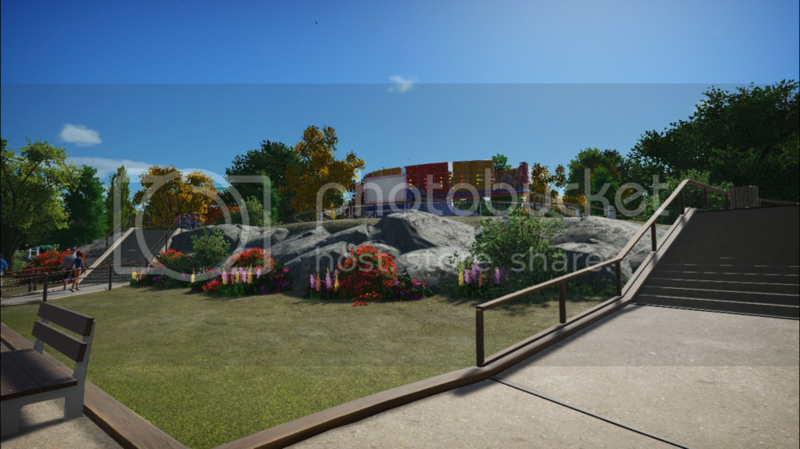 Not only do you have a beautiful flowers and a pond to look at as you walk up to the park entrance but you also have the park's massive wooden coaster, The Screamer, welcoming you to the park as well. 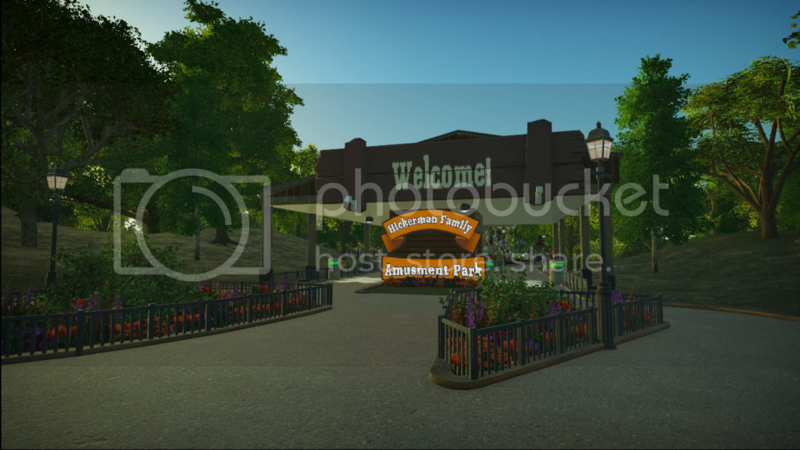 Here is the park's front entrance. It's small but suites the park well. The park sign for the entrance has yet to installed but is currently in the park's storage facility. Once you're in the park, you're welcomed with the park's carousel along with beautiful flowers. There are still more flowers to be added but with what they do currently have, I am very pleased. Down this path is some of the parks food and merchandise locations. It's tucked out of the way but has it's own nice area in the park. 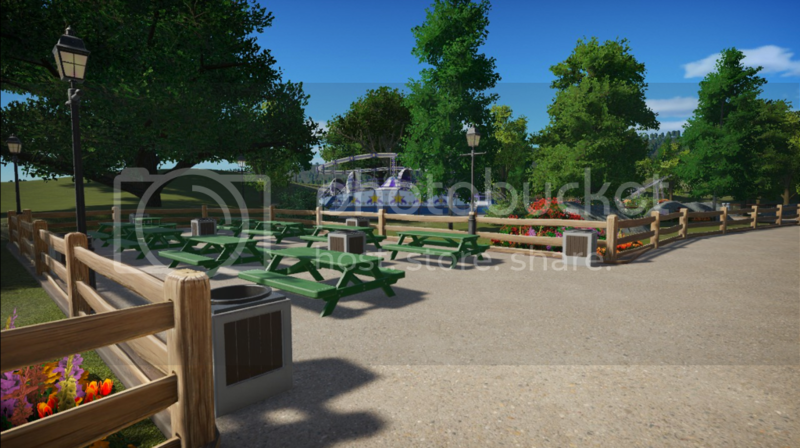 A nice little seating area for guests to sit and enjoy their food. The park's Tilt-A-Whirl is seen in the background. 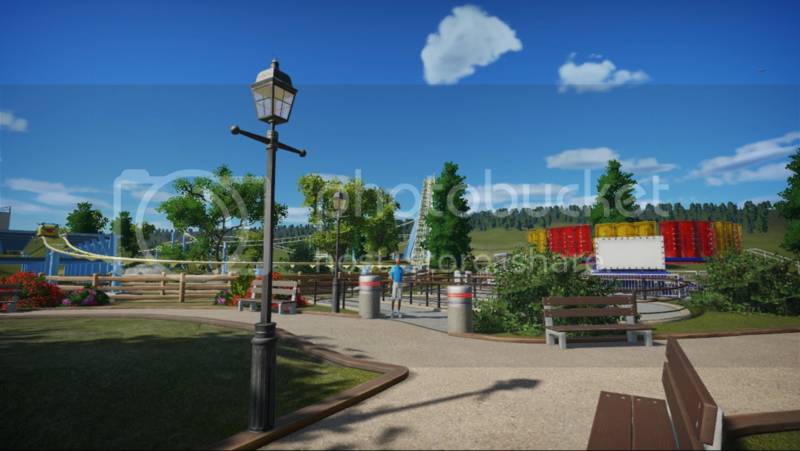 The park is set to open with a number of rides along with 2 rollercoasters. Here is the Zipper and Ferris Wheel. Across the path is Wild Thing with The Screamer standing tall behind it. 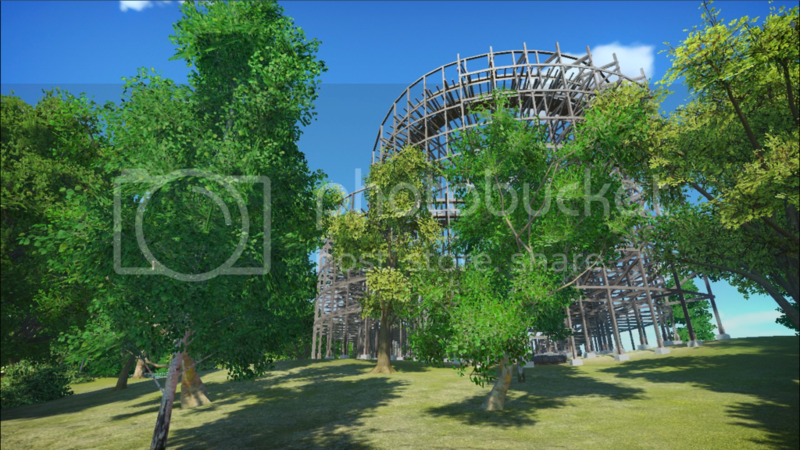 The Screamer is a giant wooden rollercoaster that I am very excited to ride. 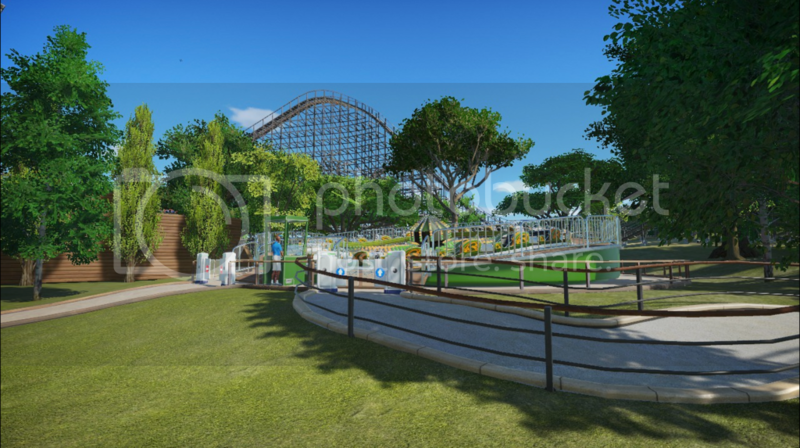 The ride's station was still under construction and the coaster is actually hard to photograph but I was able to capture this image from the coaster's exit path. 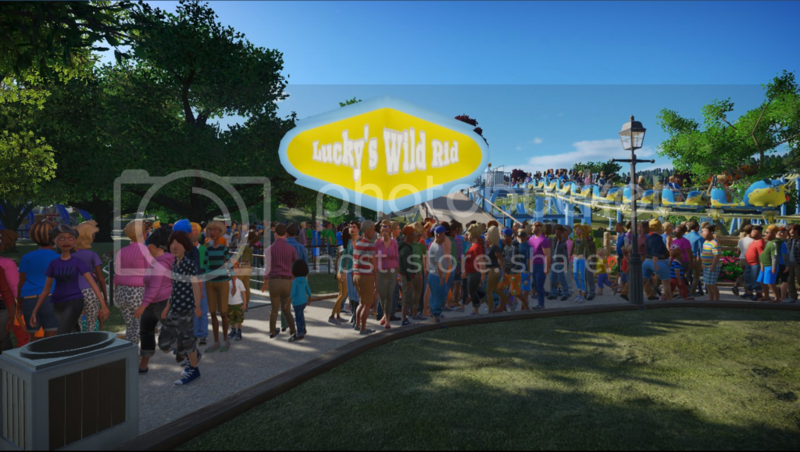 The park's second coaster, Lucky's Wild Ride, is meant for the kids. With the station still under construction, I was only able to capture this image. Next to it is Wind Up. Down this path is Aeronautics, Tilt-A-Whirl, Whirly Bird, and Scrambler. Also, the food and shops are down this way too. Last but not least, here is an aerial view of the park provided by Mr. Hickerman. That's all for today's post! I hope you all enjoyed it and i'll talk to y'all again soon! welcome from me as well. Hope to see some more great stuff from you! What a great start. This park has a real cosy family park feel. I'm glad you brought it to SGW. I love that 4th pic with the carousel. Looking forward to the next update. Thank you so much everyone for all of the kind words! 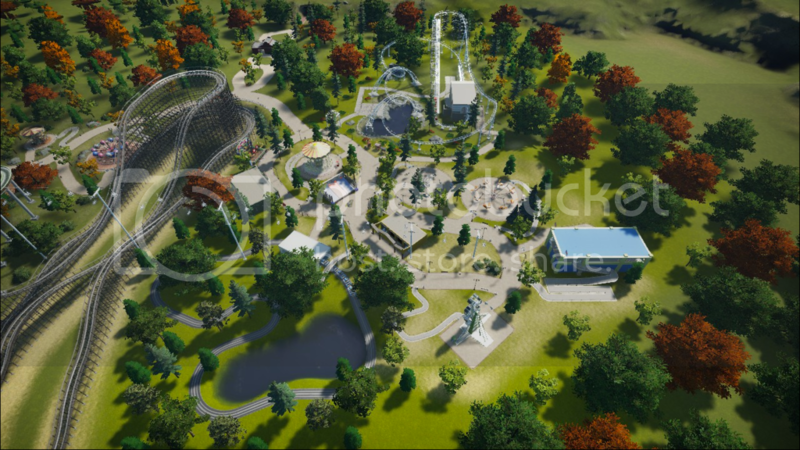 While I am still very new at this game, I am excited to see how my work will grow with this park! You will most definitely be able to tell how new I am at this game with the signs I added haha! I hope you enjoy this next post!!! It's OPENING DAY everyone! I hadn't gone back to the park since the first time I was there as there really wasn't much going on. The park was training it's new employees, rides were testing and the gardeners were hard at work planting the last flowers before today. I didn't want to get in the way of anything. Today's opening day was both a success and an eye opener. 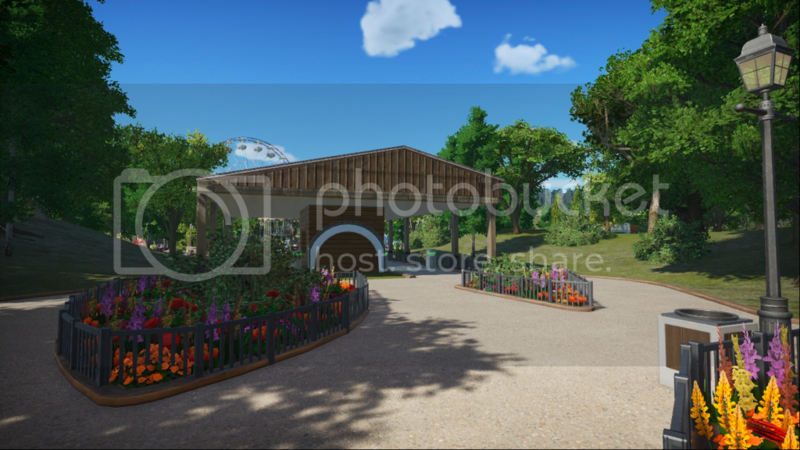 I was able to talk to Roy Hickerman, the founder and owner of this park and he shared a few things with me. No one at the park expected a turnout like they had today. While Roy is extremely happy that the park was so well received, he definitely has his hands full of improvements for next season already. The park is operating on a shortened season schedule this year. The park will close for the season on August 15, 1970. When I asked him what were some improvements that he's already notice that need to take place, the first thing he mentioned were bigger paths. The paths in the park are quite narrow but are this way because Roy did not think the park would be nearly as busy as it was today let alone this up coming season. Roy said that if this season is anything like it was today, he's got some work to do. I arrived to the park around 8:30am, about 1 1/2 hour before the park opened at 10:00am to get a shot of the new entrance sign before guests filled the paths. Within minutes of the park opening, guests were running to Screamer. I was able to ride it myself and wow, it is a great ride! 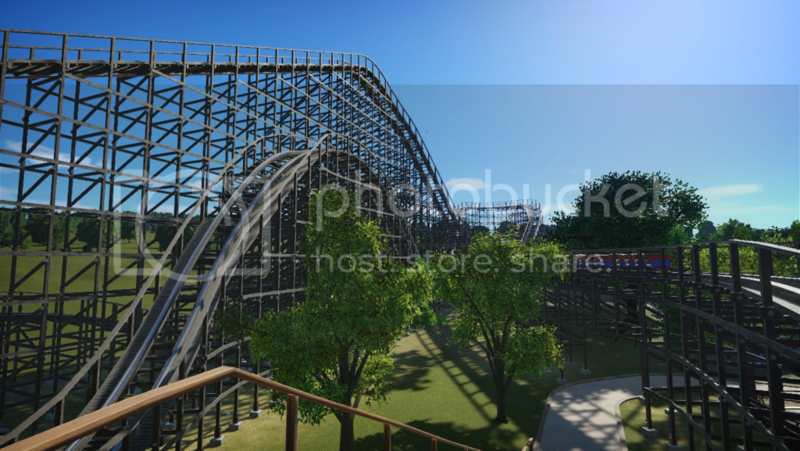 If the Hickerman family continues to build coasters like this, the park will be awesome! The line for screamer reached nearly 2 hours today! Lucky's Wild Ride was very well received amongst families. In this picture, you can even see the issue with the narrow paths. Wind Up was doing it's thing and guests were loving it! Zipper became a guests favorite today! Aeronautics is a very unique ride but I didn't get a chance to ride it today. Maybe later in the season! I did enjoy Dive Bomber! Though it did make me a little sick afterwards. The park closed at 10pm but I left at 8pm because I wanted to beat the leaving crowd. This was the last picture I took today at the park. I am so extremely excited to have a place like this in Clarksville. It's a great place for all ages and I can't wait to see what the Hickerman family does with it. I'll be back later in the season as life is getting busy at the moment and there really isn't a whole lot of new things going on at the park this year. I hope you all enjoyed this opening day post and I'll talk to y'all next time! But that doesn't mean that's the end though! I have decided to take one negative and turn it into a strong positive. 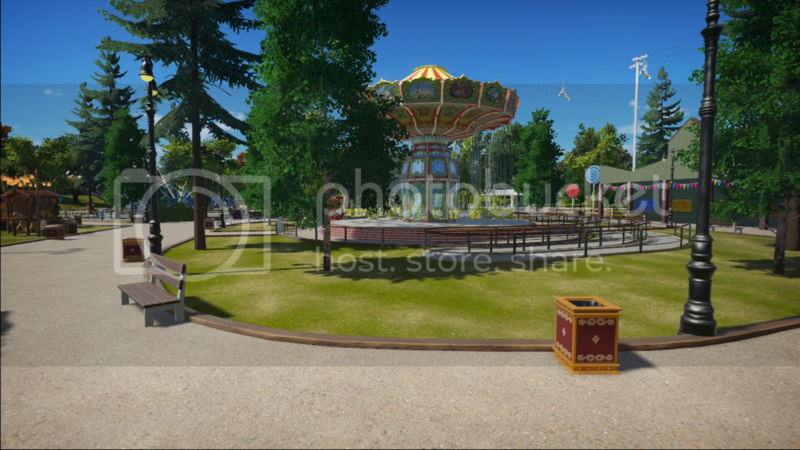 I quickly back on Planet Coaster and started re-creating Hickerman Family Amusement Park! 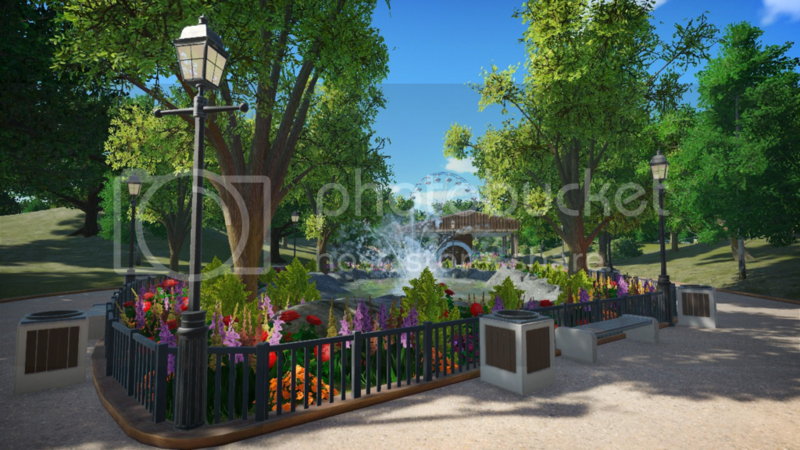 This time, I am much more happy with how the park is turning out and it is turning out just exactly how I originally hoped it to! Here are just some WIP screenshots to show you all what you can look forward to when posts come back! When the posts come back, it will be 4th of July in the storyline and some exciting announcements will happen! Sorry you had to start over but as you say, the new version is already showing its excellent bone structure, so I'm sure i'll be even better than the original once you flesh it out. It looks like you're being more adventurous this time with the architecture, dirt sculpting, and ride layouts. 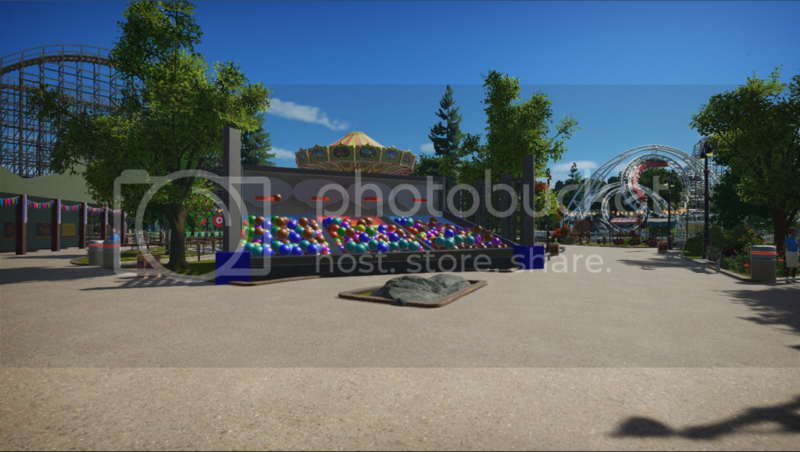 Every day when I 1st start work on the park, I save it under a new name, so like if yesterday it was "My Park 06", today it would be "My Park 07". Then I save it again and have to manually select the save I just made because that one won't highlight automatically. Also, when manually saving, I make sure I have the cursor off to the side of the screen when the list of save files comes so, so I don't highlight the wrong save file. 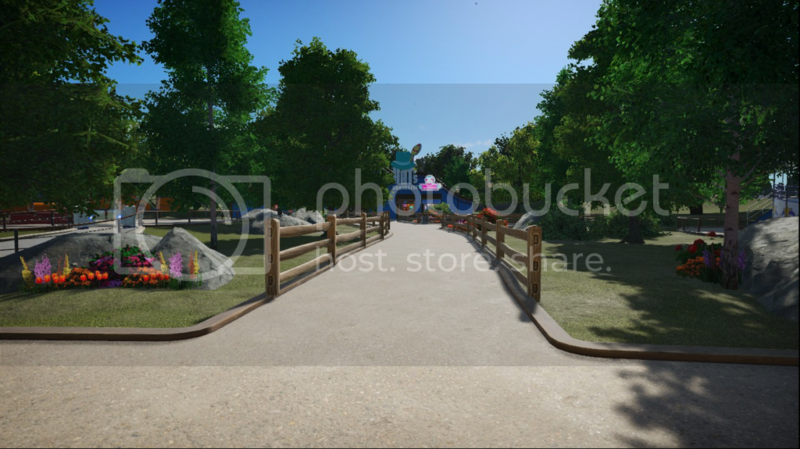 Re: [WIP] Hickerman Family Amusement Park | And We're Back! And we're back! 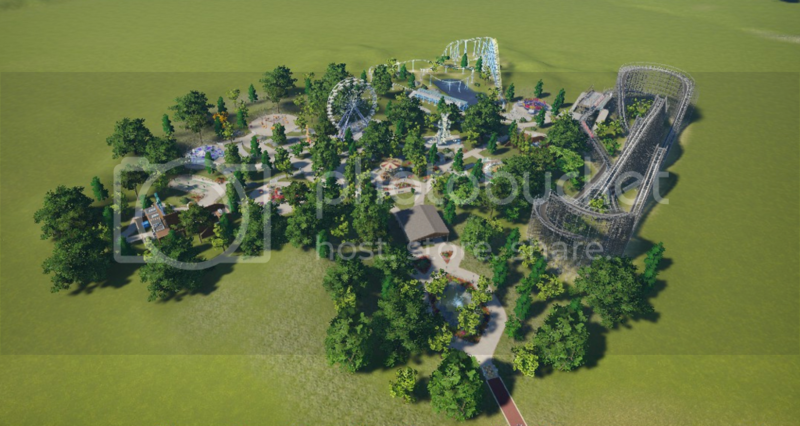 I am honestly very excited to show this version of the park with y'all! While my skills are still buildable and I do have a lot to learn, I am very excited with how far i've come. Thank you! That is actually a really smart idea! Hi everyone! It's been a while since I've last talked to y'all! 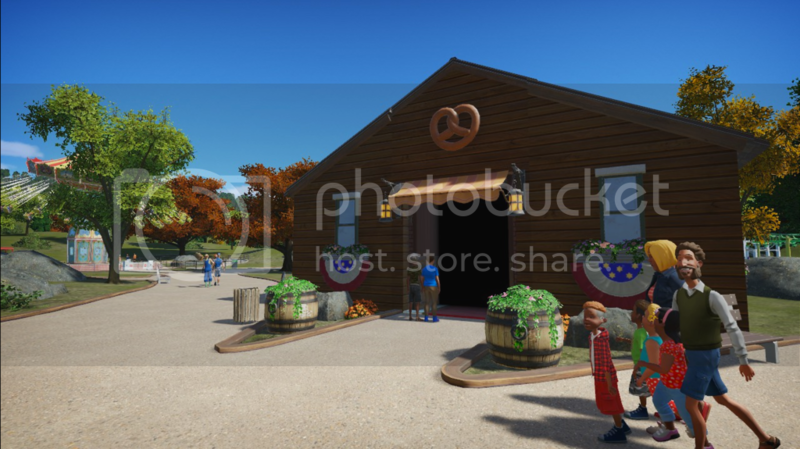 Today was 4th of July and I just had to visit the park to see what was happening! I got to the park around 2pm so the entrance was not crowded at all since the big rush was in the morning when the park opened for the day. 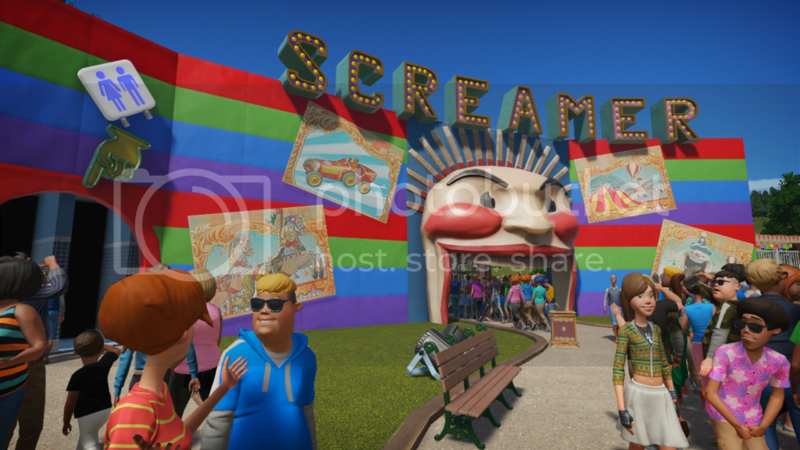 The Screamer and park sign is always nice to see when first walking into the park. Screamer actually divides the park in half. 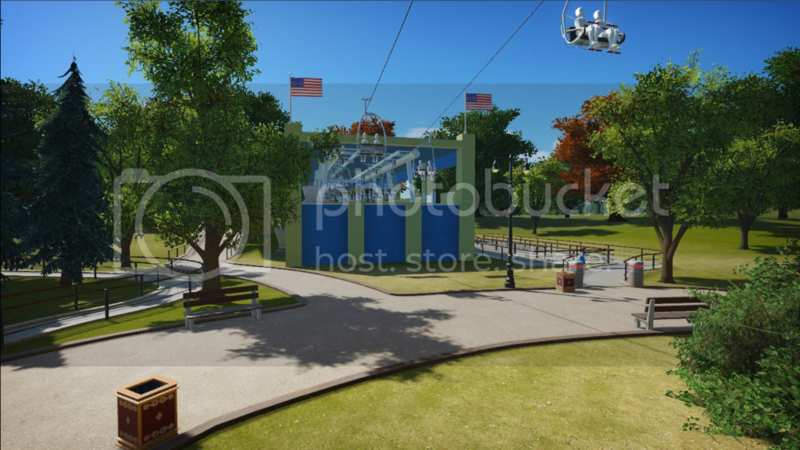 Mr. Hickerman said that next years addition will begin the process of eventually connecting the two half of the parks connecting together. Air Race is always a great time and the families love it! White Water Walkway goes ride another neath White Water Spillway and goes through a neat cave! 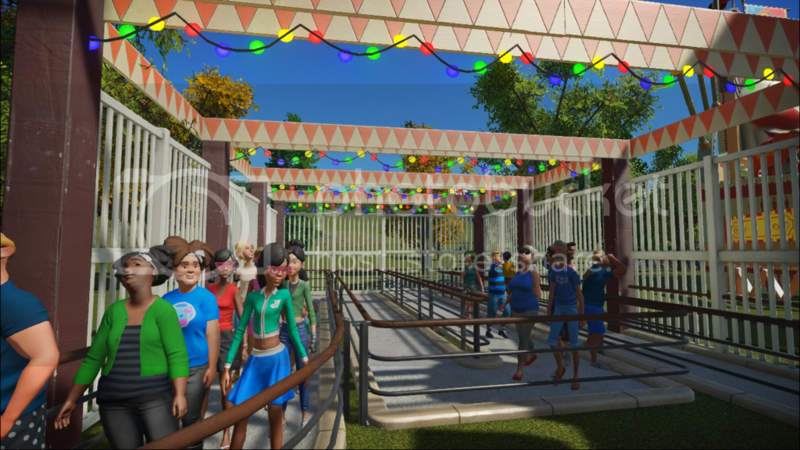 This walkway leads to the Coney Land section of the park which is where Screamer is. Screamer's entrance is intimidating which is exactly what the ride itself is! The queue is just like a fun house. When the park opened, this was line was packed and reach 2 hours! Lucky's Wild Ride is still a favorite amongst kids who may not be tall enough yet for Screamer. I love riding Wind Up because when you're at it's max height, it feels like you're even higher than you are because of the location on the hill. 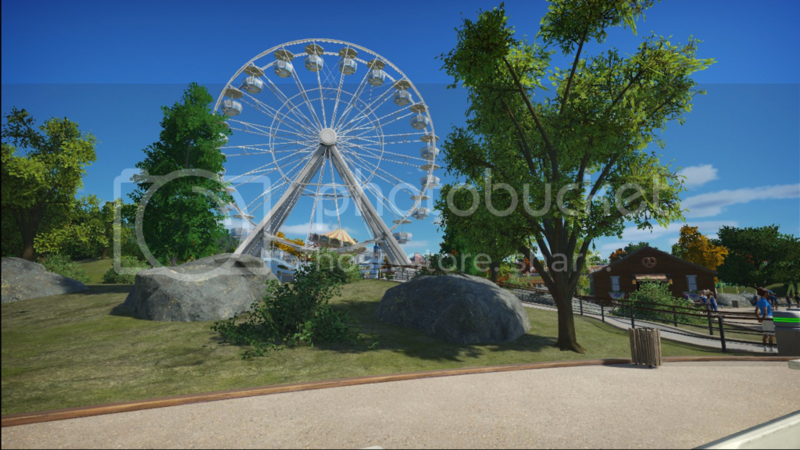 I love taking a ride on the Ferris Wheel because it gives an amazing view of the park! Mrs. Hickermans Eatery serves amazing food and is always a nice place to relax in the AC! 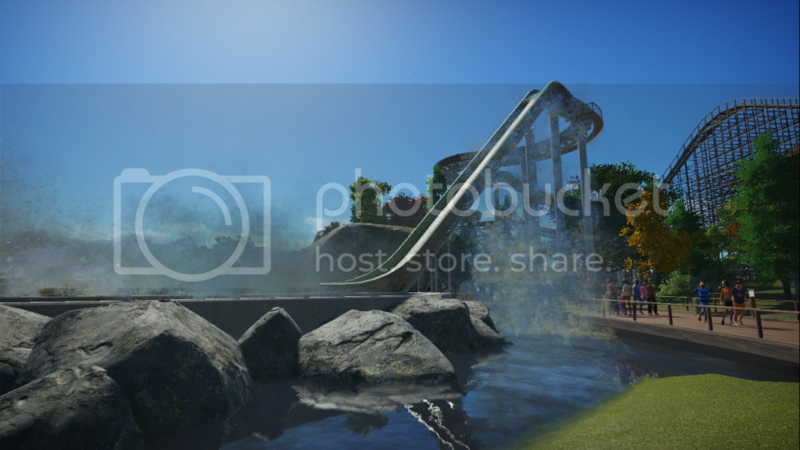 White Water Spillway has a really cool feature that when the log comes down the drop, those standing on the walkway will actually get splashed by water cannons! 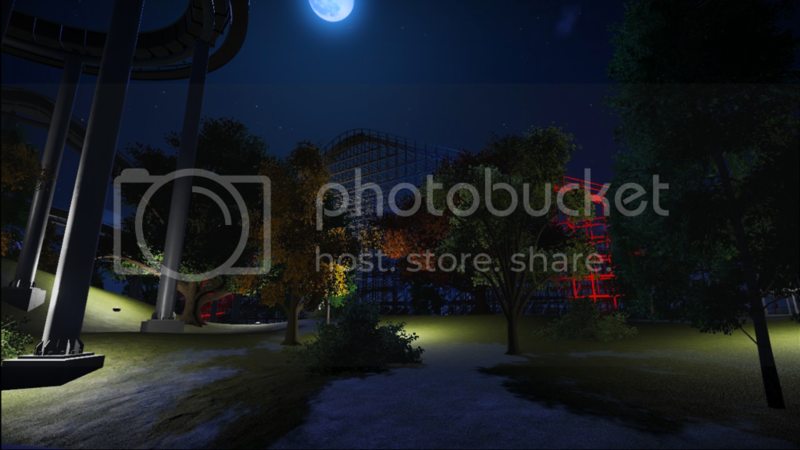 At night, Coney Land lights up and looks real nice! The park lit up Screamer's lift with red, white, and blue lights. White Water Spillway looks real nice lit up at night! 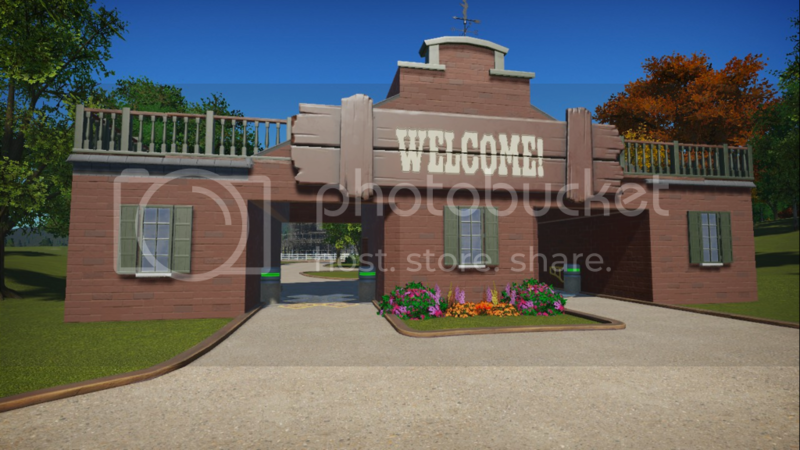 Re: [WIP] Hickerman Family Amusement Park | And We're Back!! Hey Austin, what a charming park. I can imagine going for a stroll through the beautiful landscape. 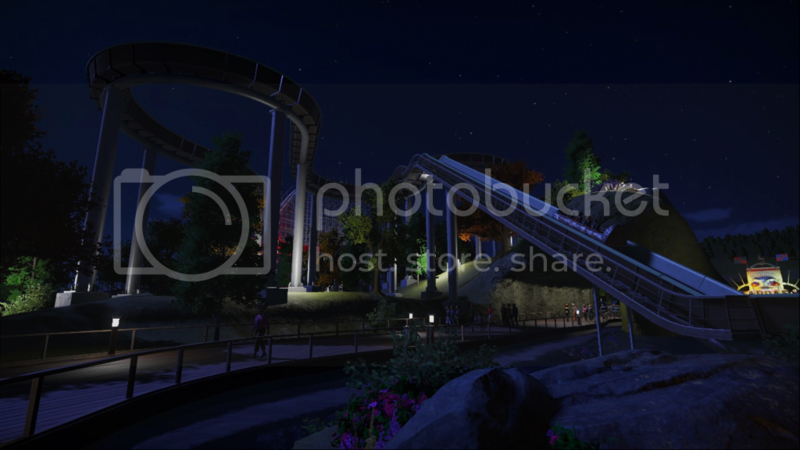 Also love the lit up lifthill. 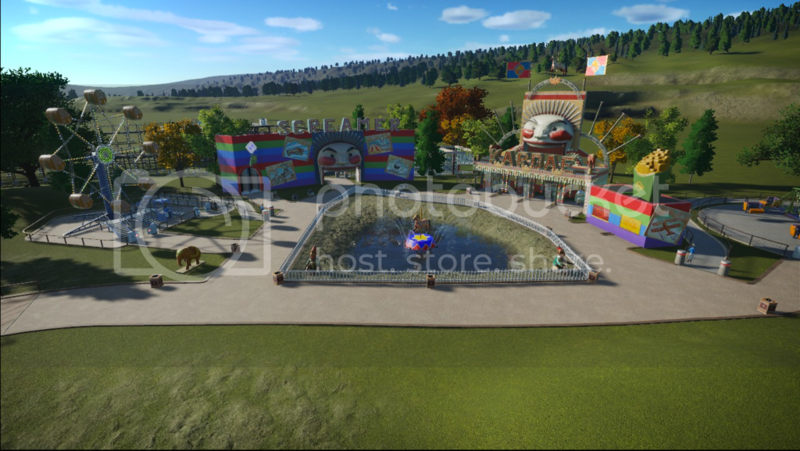 Re: [WIP] Hickerman Family Amusement Park | New For 1972!! Hey everyone! I am excited to share this post with all of you! Though before going on with the post, I do want to bring something to the attention of all of you. I have kind of altered the time line of reality a little bit. 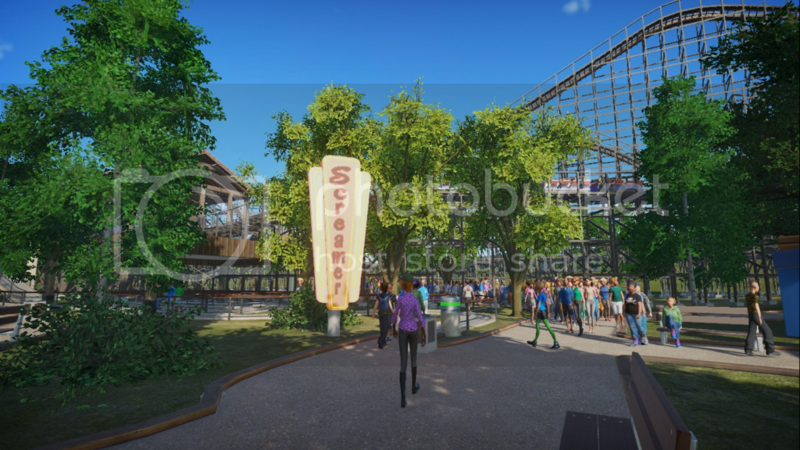 With out giving away too many spoilers of this post, the coaster I am announcing in the post opened to the public in 1974 but in the story line, the coaster is opening in 1972. When creating this story line, I didn't think that this would be too unrealistic. Though I do want to tell all of you this before there is any possibility of confusion. BREAKING NEWS - Hickerman Family Amusement Park has just announced the park's brand new addition for the 1972 season. Hickerman Family Amusement Park is excited to announce County Fair! 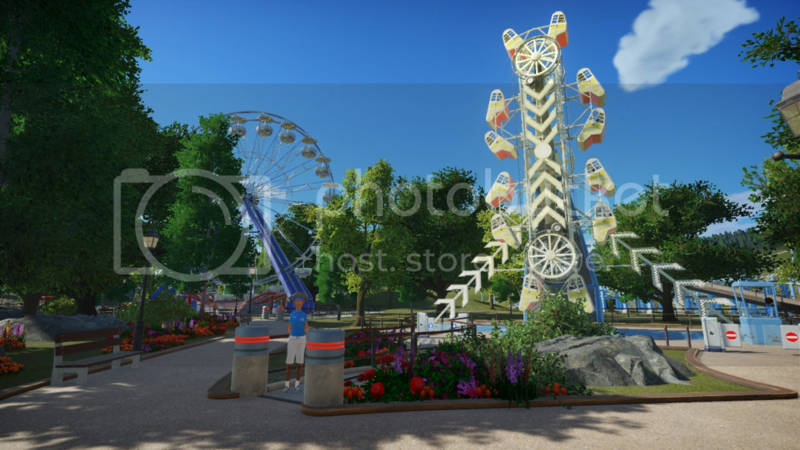 County Fair will be a brand new section to the park containing one brand new roller coaster, two brand new flat rides one relocated flat ride from inside the park and two brand new transportation rides. 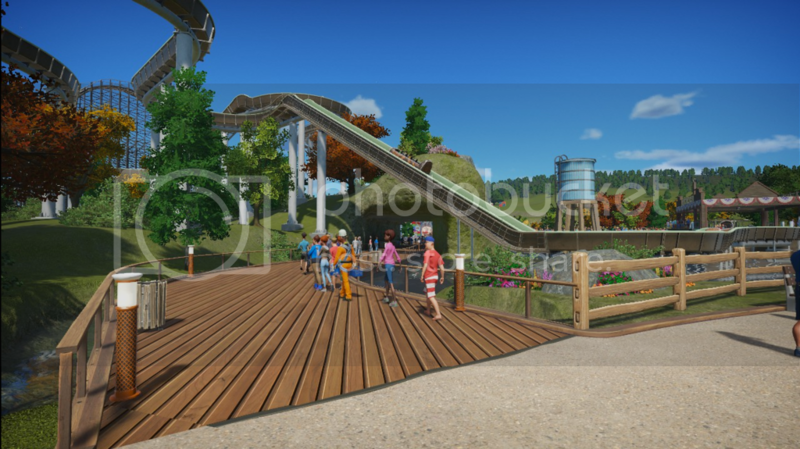 The parks brand new roller coaster, Corkscrew is a first of it's kind! Corkscrew will take riders 70ft into the air before dropping them 62ft reaching speeds of 46mph while twisting them and flipping them upside down through two corkscrews. 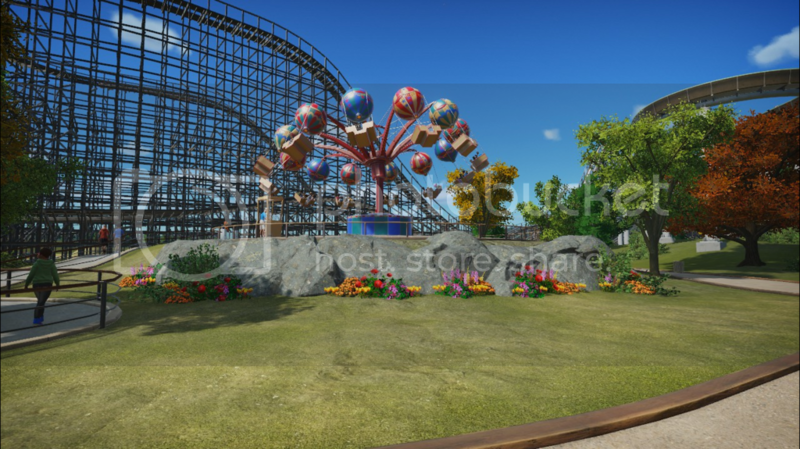 Corkscrew is the first coaster of it's kind and Hickerman Family Amusement park is proud to add this first of its kind attraction to the parks line up thrilling guests! Corkscrew is a product of Arrow Dynamics. 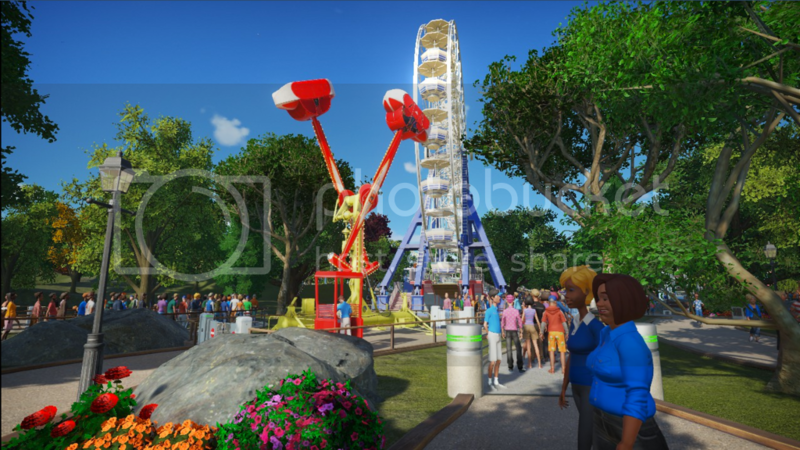 Zephyr, the parks swing ride will be relocated from across the park to County Fair. Zephyr will swing it's riders around while they go up and down in a wave like motion. Soaring Birds will swing it's riders around where they will have control of their flight through the air. Riders can fly up to 28ft in the air or fly low to the ground. Rock, Rattle and Roll will turn it's riders up, down, all around and upside down. Riders will be able to control how many times they go upside down, when they go upside. Hickerman Autoway will take riders on a relaxing self driven car ride. Riders will go through beautiful scenery and around a nice pond. Hickerman Autoway is the perfect way for youngsters to bond with mom, dad and grandparents. 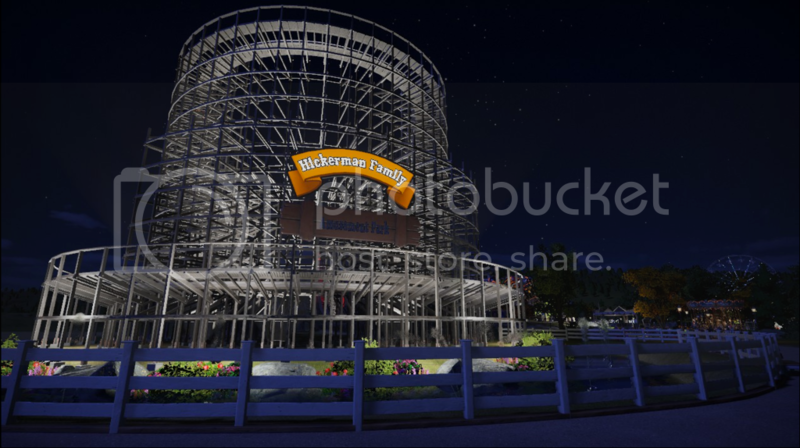 Hickerman Skyway will take riders from County Fair, across the park to the other side of the park. Riders will be given an amazing aerial view Hickerman Family Amusement Park. 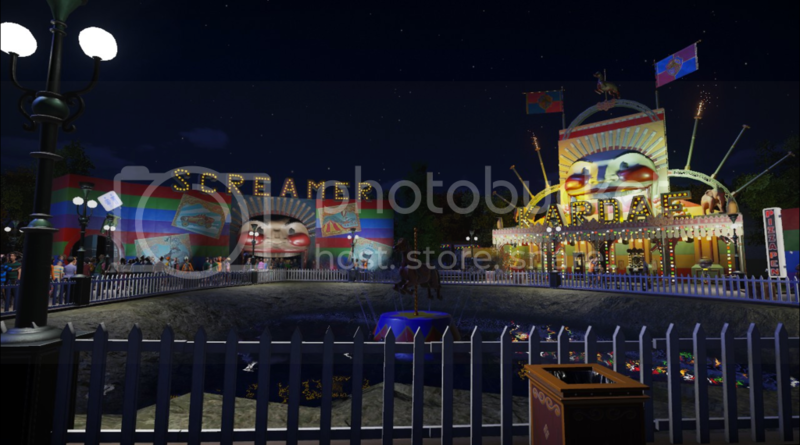 County Fair will food stands and midway games where guests can test their skills for prizes. Thank you for reading! A quick question... What are some other sites similar to Photobucket that doesn't use watermarks? 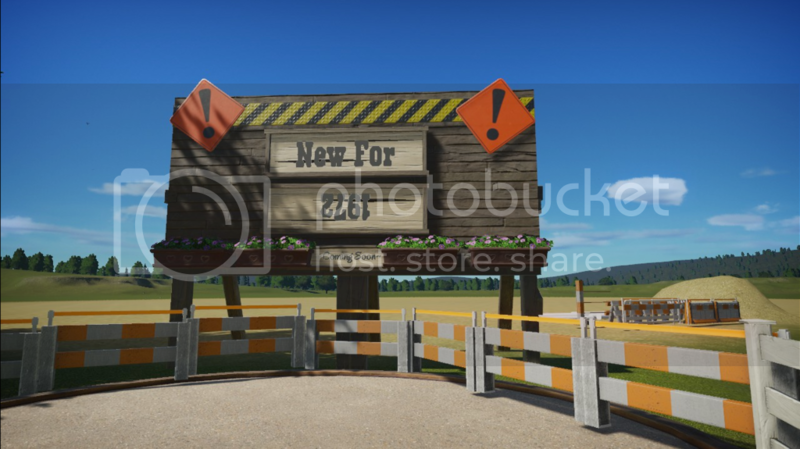 I don't want to have to pay to remove a watermark. Thank you! 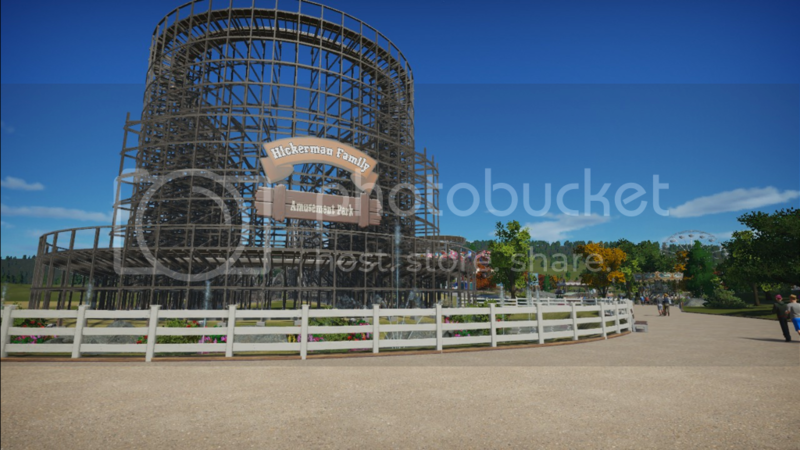 Re: [WIP] Hickerman Family Amusement Park | New For 1972! County Fair! Wow! 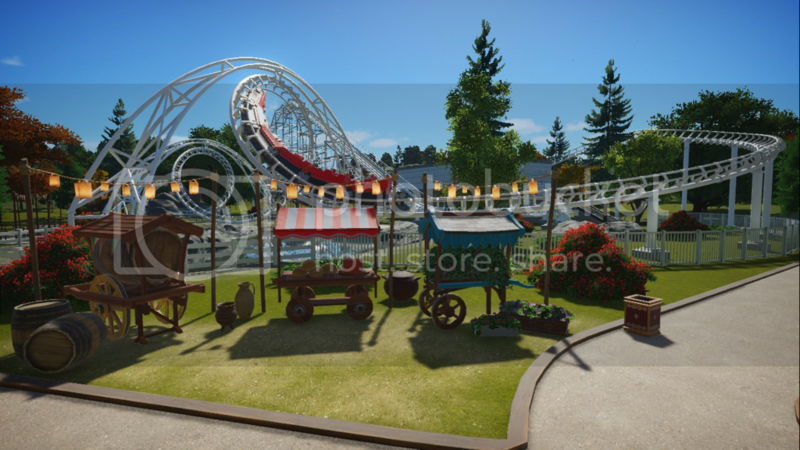 Your park looks incredible & super cozy! Your game booth in particular looks great! Regarding your footer question, have you looked into imgur? They dont leave watermarks and have a pretty easy to use interface. This looks like a nice, small town family park. It's a simple design, but well done and realistic looking. 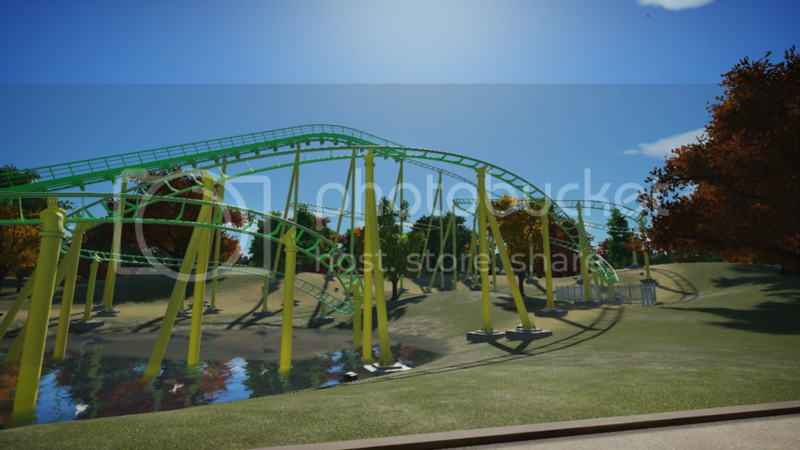 The new Corkscrew looks just like the original Arrow coaster. I remember the first one I saw was at Knott's Berry Farm. But it's long gone now.